Let's take a break from all the food-related post because I have a very much long overdue post here! I was first getting to know about this product through one of my favorite youtubers, Mamichula8153 and I was totally impressed with the result after she used this kit. 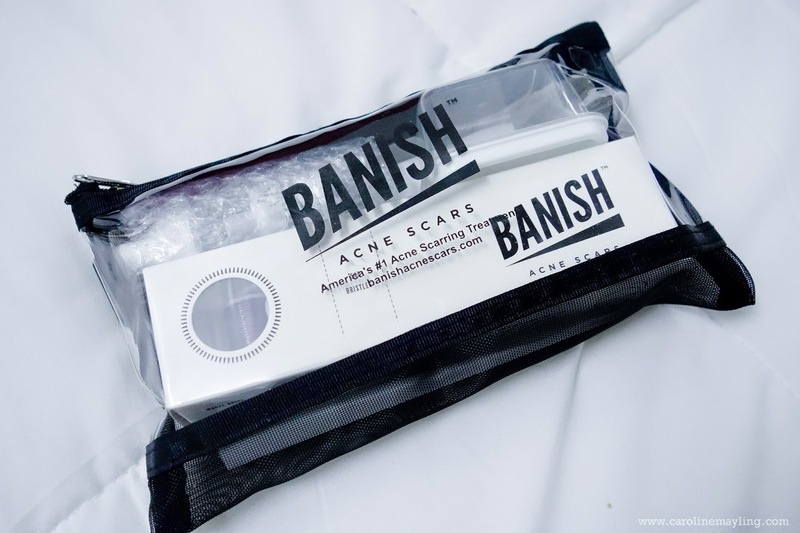 I actually received the product - Banish Kit by Banish Acne Scars - around mid of September and I couldn't start using it due to active acnes all over my face at that time. 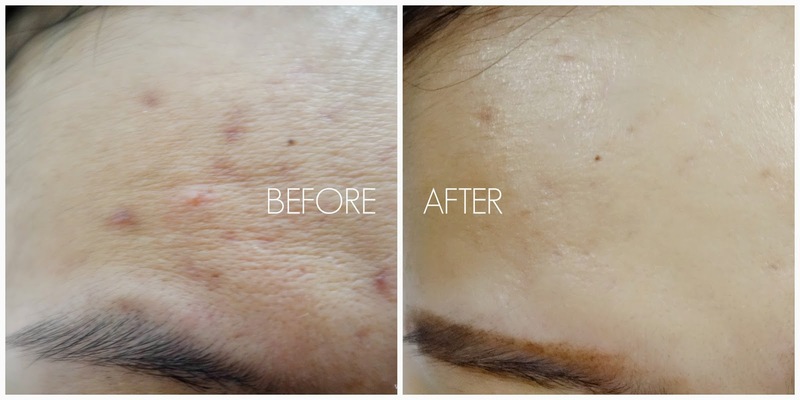 I only started using it early October after my acne on my forehead reduced tremendously and left with those marks and scars over the treatment sessions under Dr Christina from Klinik Christina Chea. All the products from Banish Acne Scars assembled and shipped from the United States in Los Angeles California. 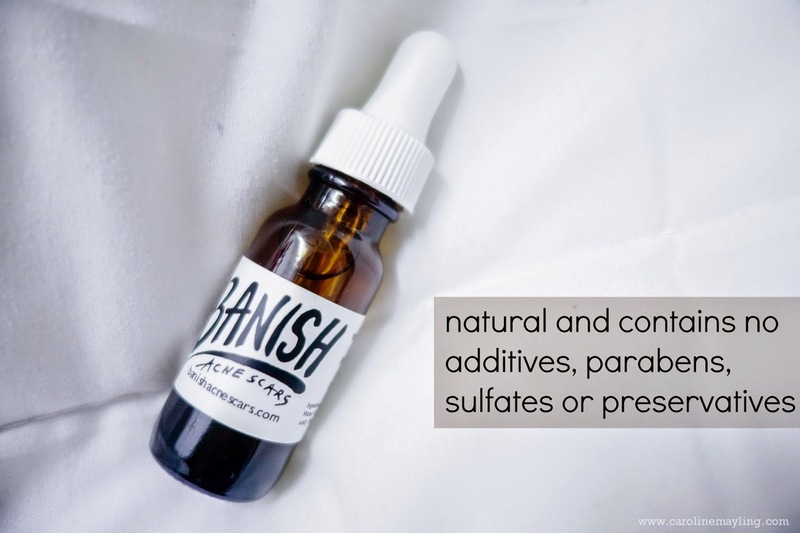 The Banish Kit contains an all natural Vitamin C, E, Ferulic Acid Serum, roller, storage case and cleaning container. Please note that there's a few types of rollers available - 0.25mm (for hyper pigmentation, serum absorption, fine lines and discoloration), 0.5mm (for hyper pigmentation, serum absorption, fine lines, discoloration and acne scarring) and 1.0mm (for hyper pigmentation, serum absorption, fine lines, discoloration,acne scarring, ice-pick acne scars and stretch marks). Depending on the size of the roller you use, you can use the 0.25mm roller every week; 0.5mm roller every other week and the 1.0mm roller only once a month. This is due to it takes a while for collagen to build on your skin. What's make Banish Roller special here? 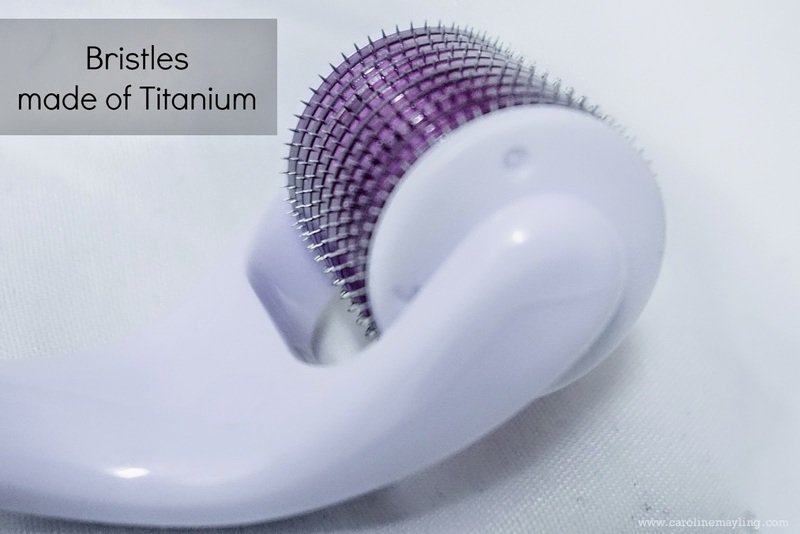 The bristles are created out of titanium. Titanium is stronger and has less risk of infection than other metals. Titanium is lightweight but strong, compared to steel which is much heavier. Titanium is non-porous, which is less likely to cause an allergic reaction compared to other metals. Titanium is non corrosive, compared to steel which can rust easily. Titanium is more expensive than steel. ** It is best to replace your Banish Roller after 8 uses. It is because the needles on it will turn dull and there may be a risk of infection to the skin from previous uses. 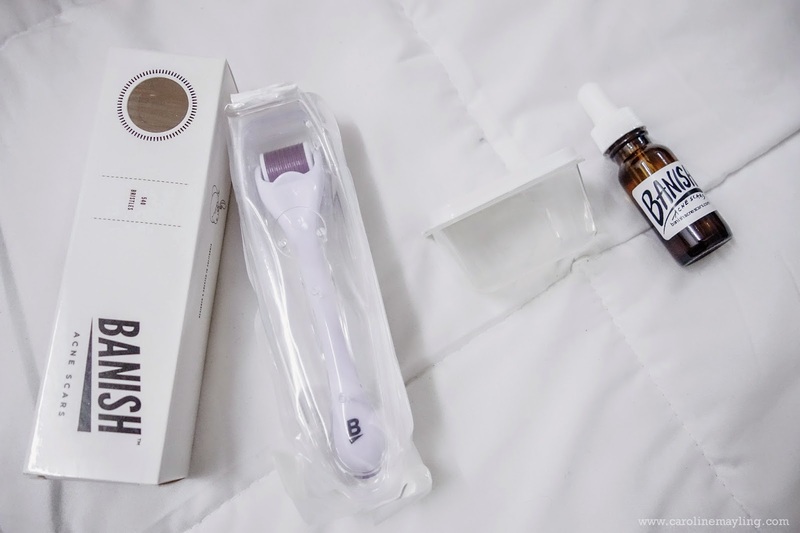 Frankly, I was so happy to see serum is included in the Banish Kit! (You and I know how much a C&E Serum cost out there) The serum that comes with it is natural and contains no additives, parabens, sulfates or preservative. The shelf life of the serum is approximately 6-9 months. How thoughtful of the founder to include a container for users to use it to clean their Banish Roller! 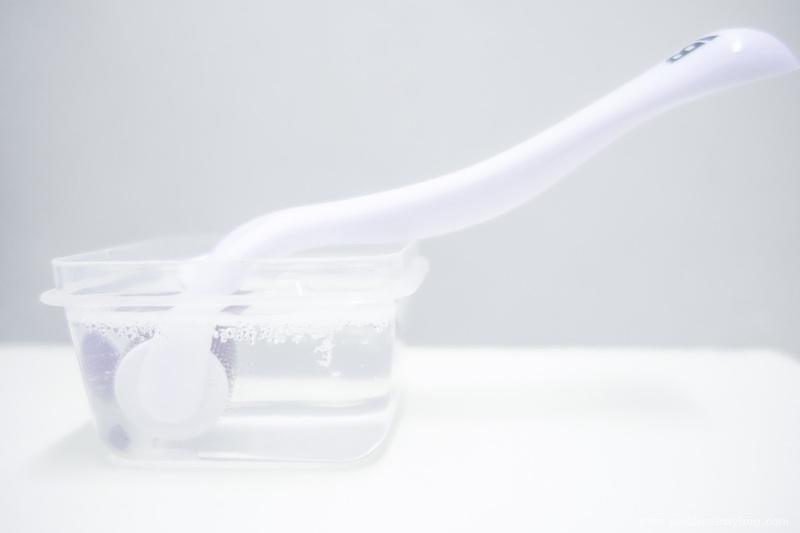 All you need is isopropyl alcohol to clean the roller each time before and after you use it. 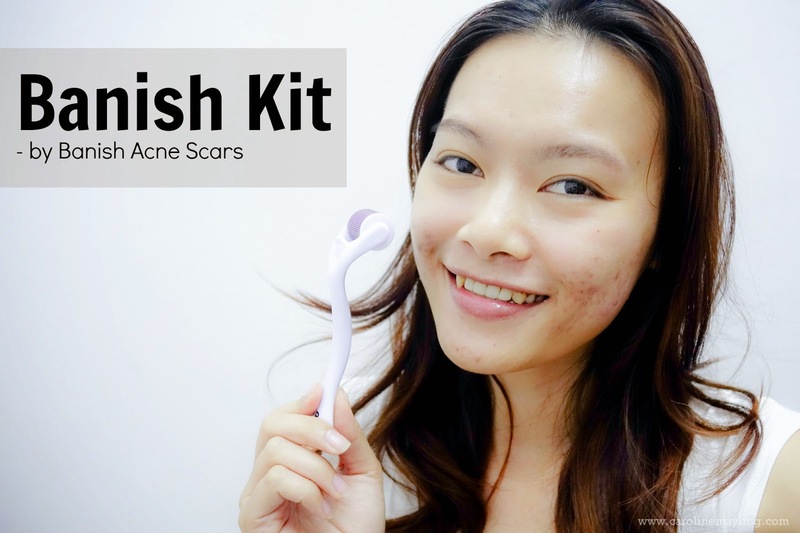 Banish Acne Scars provide returns even if you have used the product and it does not work for you. Check out the products at HERE.